How Long Would You Go Without Brushing Your Teeth? You know how great your mouth feels after your annual dental cleaning at the dentist's office? Well, your pet's mouth feels pretty much the same way after annual cleaning by your veterinarian. Now, imagine if you came home from the cleaning and then didn't brush your teeth again until you went in for your dental cleaning the next year? Not only would you derive no benefit from the cleaning, never be able to improve your dental health, most probably suffer in not so silent pain, but no one would want to be near your mouth, including you! Well, it is NO different for your pet. Your pet's dental care doesn't rest with your veterinarian alone. As a pet owner, you play a pivotal role in helping ensure your pet's dental health through daily dental care at home. Annual Veterinary cleaning MUST be partnered with daily, continual home care if you want your pet to get the real benefit and value from the cleaning, if you want to prevent dental disease or improve your pet's mouth, if you want to keep your pet from suffering in silence and want to keep doggy or catty breath far so that you can keep your pet close! Do you know that it takes only 8 hours for new plaque to form in your pet's mouth? But after professional cleaning, you have the clean slate to help keep soft plaque from forming; plaque, which if not removed becomes hard tartar leading to inflammation and painful gum disease. HealthymouthTM, when started on a cleaned mouth, will help keep your pet's mouth free of plaque about 72% to be exact -- allowing it to become healthier so that the foul breath that always seemed to rear it's ugly head again is put to sleep for good! The more home dental care you can introduce as time goes on, the better. Animals do NOT have an aversion to a toothbrush or tooth brushing, they, like us, have an aversion to pain. 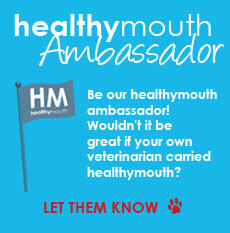 When the mouth pain goes away, your pet will let you into her mouth and that is when healthymouthTM can become the foundation of your home dental care program. 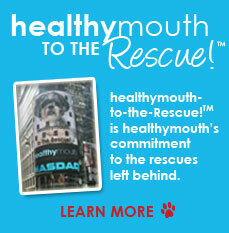 HealthymouthTM, used in conjunction with tooth brushing (still the gold standard though only 2% of owners presently will brush their pets teeth and I hope this will soon change), with a healthy dental chew or dental diet, will enable any remaining plaque to come off easier, increasing the benefits of all home dental care. Now, imagine going back to your veterinarian and for the very first time he says, "your pet's mouth is finally improving and getting healthier, just keep doing what your doing." How great should that feel - not only for you, but most importantly for your pet. You have just helped improve the quality of life, overall health and if you stick with ongoing professional and home care, perhaps even the longevity of your best friend. 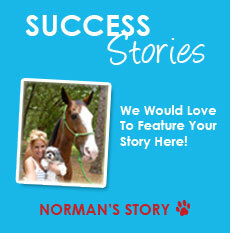 Who knew home dental care for your pet could be such an effective, safe, simple and rewarding experience? Now you do! So, spread the healthymouthTM word.